Despite the never-need-to-organize-files promise of Spotlight, there are times you want to organize your files. 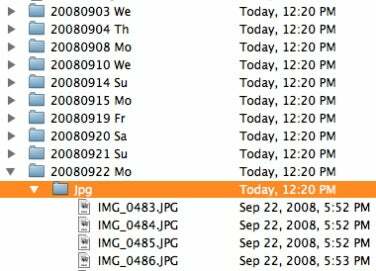 Perhaps you have hundreds of photos that you want to file into folders by date; conversely, maybe you have files in various folders you want to merge into a single folder. 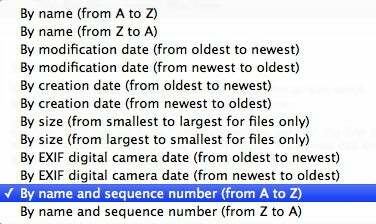 While you could do this manually, or even using Mac OS X’s Automator, PublicSpace.net’s Big Mean Folder Machine (BMFM for short) makes it a snap to organize huge collections of files. Once you’ve decided whether you want to split files into multiple folders or merge files into a single folder, BMFM’s wizard-like interface walks you through the process step-by-step. Hierarchical mode splits files into hierarchical folders based on the criteria you decide, ignoring the size of, or the number of items in, the resulting folders. You choose the top-level splitting criteria: first, second, or third letter (or pair of letters) of each file name; file type; photo date in numerous formats; creation date in numerous formats; or a custom criteria you design. Custom criteria can be based on file name (for example, character positions or delimited characters); creation, modification, or photo date; or MP3/AAC tags. Whichever splitting mode you choose, the resulting folders are numbered consecutively; you get to choose how those names are formatted. BMFM also offers several options for what to do when multiple files have the same name—for example, if the source folder contains subfolders of files, and identically-named files from those subfolders are sorted into the same new folder. You then choose the destination folder, whether to move or copy files to that folder, and whether or not to preview the resulting file structure. (I recommend taking advantage of this preview, as doing so ensures BMFM is going to handle files and folders the way you want.) After clicking on the Execute button in the preview window, the actual file manipulation takes only a few seconds, even for hundreds of files. The procedure for merging files from multiple folders into a single folder is similar, but shorter: You drag the source files into the program’s window; choose how to handle identically-named files; and then choose the single destination folder and whether to move or copy files to that folder. Assuming the preview looks good, you click on Execute. Again, the process is surprisingly fast. Here's an example of how I’ve used Big Mean Folder Machine: After I copy photos from my digital camera's memory cards to my hard drive, I’ve got a single folder with perhaps hundreds of images. I store the originals of such photos in an archive organized by date, with a single folder for each day. BMFM automates this process, turning what might be a 15- or 20-minute task into one that takes less than a minute—and requires much less mousing and typing. The biggest limitation of Big Mean Folder Machine is that you can’t save settings for frequently-performed tasks. However, the developer told me such a feature is in the works for an upcoming update. Other minor limitations include the lack of an option to delete source folders after merging or splitting, and an inability to selectively merge and split. For example, it would be useful if BMFM could pull only the .avi files out of a bunch of folders and place those .avi files in a single folder. (A workaround is to merge the folders of files into a single folder and then split that folder’s contents into separate folders by type, but that pulls out all file types rather than just the .avi files.) Another minor improvement I’d like to see is for the preview window to display the size for new folders. But these are minor limitations. 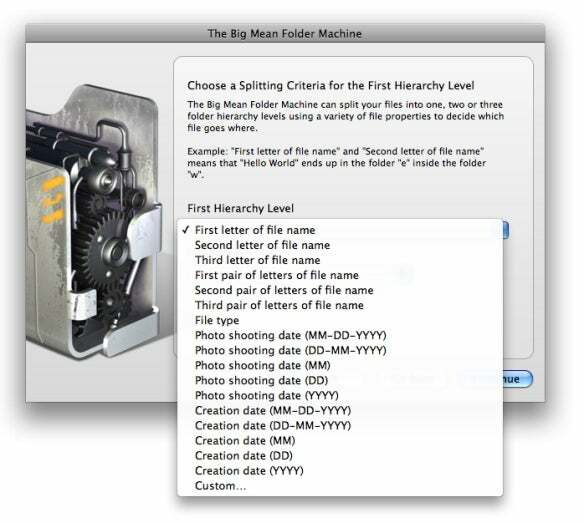 I’ve found Big Mean Folder Machine to be a huge time-saver when performing large file-organization jobs.